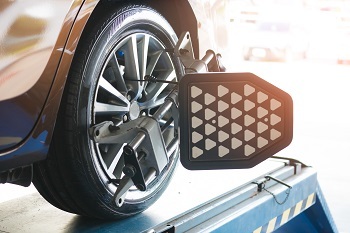 Making sure that your wheel alignment is correct is one of the most important things you can do to properly care for your tires. A poorly aligned car will unevenly wear your tires at an alarming rate. If left uncorrected, you may need to buy new tires much sooner than anticipated! Desi Auto Care's certified service team would like to invite you to our auto repair shop for a wheel alignment service that could extend the life of your tires. Pay a visit to Desi Auto Care and let our skilled and experienced auto mechanics take care of your wheel alignment issues - our auto repair shop is located at 307 South White Horse Pike Stratford, NJ, 08084. You can also give us a call at (856) 474-1213, or schedule an appointment today by using our online registration form.